If you have a heart problem, your doctor may want you to have a procedure or surgery done, or a device implanted. Below is an overview of some of these. You should always discuss a procedure with your doctor, so you know exactly what’s involved during and after. It’s a good idea to have someone with you, to help you ask questions and remember information. Click on the image below to see the procedures and services performed by the cardiologists at Capital Cardiology Associates. This procedure is designed to strengthen a weakened, bulging aorta (a large artery in the abdomen). The physician will place one or more fabric-covered hollow mesh tubes, into the aorta to support the aorta’s walls. This nonsurgical procedure widens a narrowed aorta. During the procedure, a balloon is inflated inside the narrowed aorta to expand the blood vessel. This procedure help patients with heart issues, severe burns, organ failure or other serious problems. This surgical procedure is performed to remove plaque from the carotid arteries that supply oxygen to the brain. Severe plaque in the carotid arteries can cause a major stroke. Catheter ablation is an invasive procedure used to remove a faulty electrical pathway from the hearts of those who are prone to developing cardiac arrhythmias. During this procedure, a coronary stent (a tube) is placed in the coronary arteries that supply the heart, to keep the arteries open in the treatment of coronary heart disease. Capital Cardiology Associates uses the GE CardioGraphe, a state-of-the-art multi-row detector CT scanner, to acquire high-resolution three-dimensional images of the moving heart and great vessels. In this procedure, a small device called an electrical impulse generator is implanted in the chest to monitor and regulate the rhythm of the heart. This is a test of your heart. It lets your doctor see how well your heart is working. A doctor can use this test to find out if you have a heart problem or to monitor a heart problem your doctor already knows you have. An exercise stress test – also known as a treadmill test – is designed to help your doctor learn how your heart performs during exercise or other activities that would make the heart work harder. 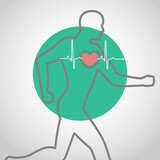 The Holter monitoring is a testing method in which the patient wears a portable ECG recorder over an extended period of time while performing normal daily activities – walking, driving, gardening, even sleeping. This diagnostic procedure creates images of blood flow through the heart while the heart is at rest and while the heart is beating quickly from physical exertion. A pacemaker is a small device implanted in the chest to regulate the beat of the heart. You may need a pulmonary artery catheter to see how well your heart and lungs are working. It is often used for people in intensive care. An effective option to improve quality of life in patients who otherwise have limited choices for repair of their aortic valve due to aortic stenosis AS. In this non-surgical outpatient procedure, a small, flexible tube containing a probe is inserted into the esophagus to provide live images of the heart.